Every so often I like to write a blog dedicated to various things…sort of random stuff…no real theme. I’ll see a bunch of stuff on my twitter feed and hold on to it…and then I want to show it to you and totally forget. Or I’ll write about something else…and totally forget. I do that lot. So today’s blog helps me sort of purge out all the things I’ve been holding onto and start of somewhat fresh tomorrow. River flooding is an ongoing issue…gradually the water levels are coming down in NE and western IA…and are still rising in NW MO. 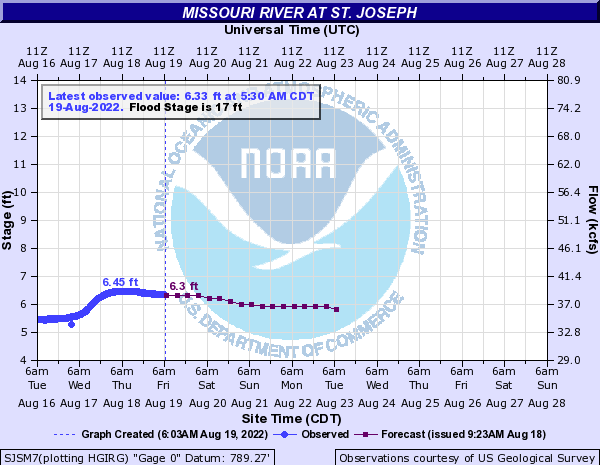 For the MO River at St Joe…still the 3rd highest stage on record. I-29 is still closed north of St Joseph and will be for awhile. 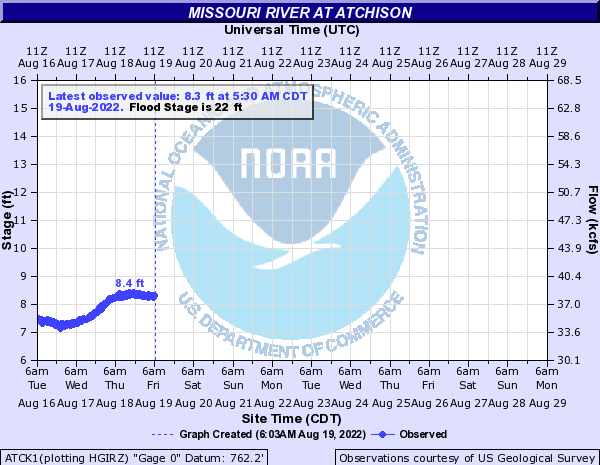 This was the scene up in Nebraska yesterday…still a long ways to go for dramatic improvement. In the end, between all the damage to property, livestock and agriculture this will be a billion+ dollar tragedy for this region. 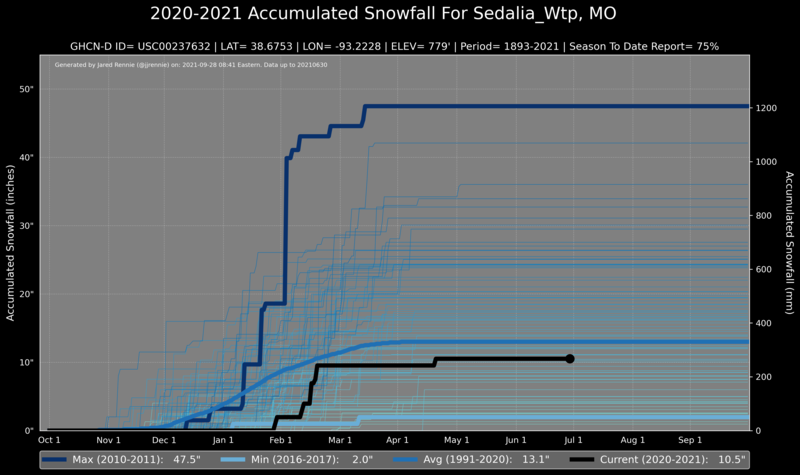 With the GFS more bullish and targeting the flood weary areas of the Plains…this is connected to a big storm later next week…and some of those more bullish totals are in the form of heavy snow NW of KC. That would not be helpful. 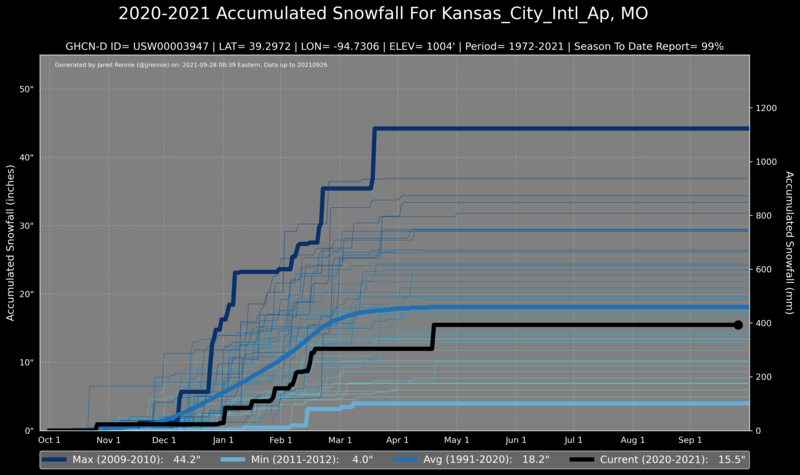 On a side note…there are increasing indications of a mild start to Opening Day in KC next Thursday. It might be windy…but 60s or 70s are possible depending on the cloud cover situation. There may be a few showers around at some point though, especially in the AM hours. Worth watching. 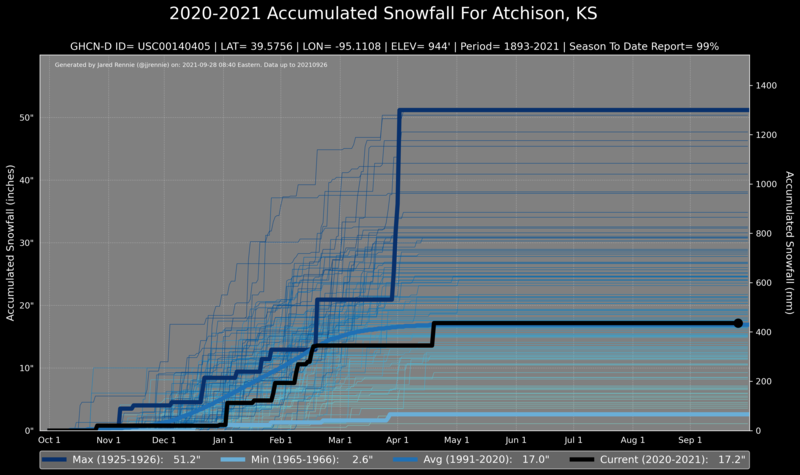 The reason for the large difference in the totals above is that the GFS has a major Plains storm…with near blizzard conditions while the EURO is a whole lot of meh on the scenario with a much weaker storm. I won’t get more involved with that for a few days. Onwards…and on the subject of snow. 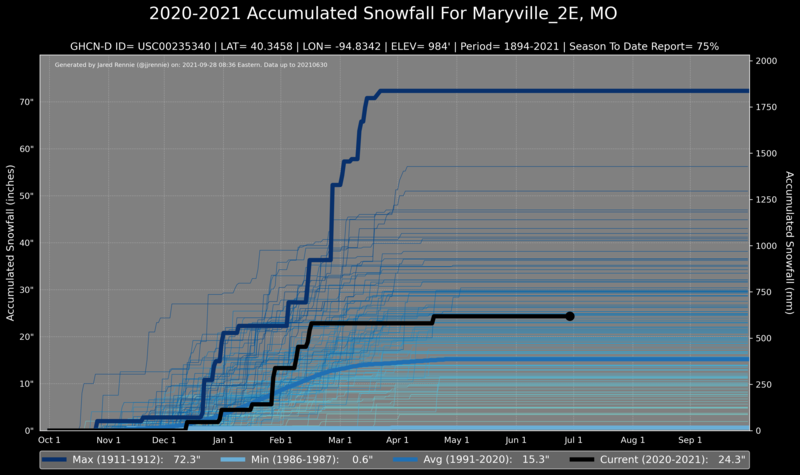 Lots of great snow total data this year! All of it courtesy of Jared Rennie. That’s about as low an amount of drought that I’ve seen in many years. Meanwhile in western Canada and Alaska…Oh my goodness. Have you heard about Seattle…remember all the snow…breaking records…now different records are falling hard up there. From November through March…seatlle had only one day previously with highs of 76°+…they just did it 3 days in a row! Farther up towards AK…the earliest 70° day ever…we haven’t even been close to 70° this spring. Onto the tropics where the World Meteorological Organization is retiring more hurricane names. 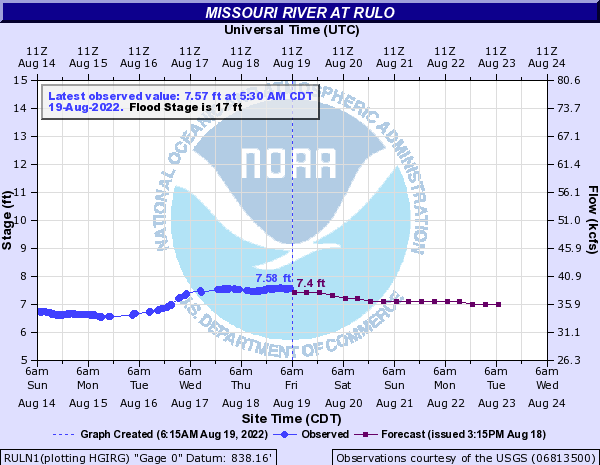 They do this for especially devastating and/or noteworthy storms that are out of the ordinary. What’s interesting is that that is 10 names retired in the last 4 years. The most in any 4 year period beforehand was 2002-5 with 14. With the name #Michael being retired by WMO, that's the 3rd year in a row the Atlantic "M" storm has been retired (Matthew 2016, Maria 2017). From what I can tell, the record for consecutive years with the same letter retired is 4: Iris 2001, Isidore 2002, Isabel 2003, Ivan 2004. Our feature photo is from @SaltyGunner of the full “worm” moon from last night.